There is no tale of American history more tragic than the plight of the Tsalagi or Cherokee Native Americans. Join me on my emotional journey to visit and study my ancestral lands and people. 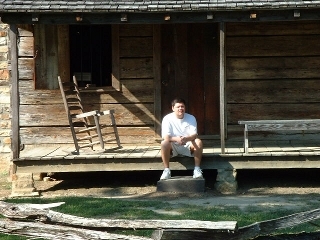 Step back in time with me to see how the Cherokee Nation existed before the infamous Trail of Tears. Enjoy your journey with the Tsalagi! 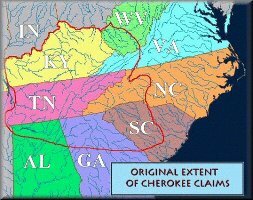 Prior to the European arrival, the Tsalagi / Cherokee Nation lived on the land that is now known as Alabama, Tennessee, Kentucky, Virginia, North Carolina, South Carolina, and Georgia. After the forced removal of Native Americans onto reservations, known as the Trail of Tears, the remains of the Cherokee nation became scattered across the land between North Carolina and Oklahoma. Today, the United States recognizes only three Cherokee tribes: The Eastern Band of Cherokees in Cherokee, North Carolina, the Cherokee Nation, and the United Keetoowah Band of Cherokee Indians, both in Tahlequah, Oklahoma. First, take a virtual tour of the New Echota historic site in Georgia. Then, take a virtual tour of the Chief Vann Estate, where the wealthy Cherokee lived up until the Trail of Tears. The story of the Tsalagi begins in New Echota, Georgia. That is where the very first fracture of the Cherokee Nation began with the 1835 Treaty at New Echota. Copyright © 2000 - 2019 Clever Things, LLC All Rights Reserved. "The time will come... when the few remnants of our once happy and improving Nation will be viewed by posterity with curious and gazing interest as relics of a brave and noble race... Perhaps, only here and there a solitary being, walking, 'as a ghost over the ashes of his fathers,' to remind a stranger that such a race once existed."